Last year, 18 children painted life-sized belted kingfishers made by Dux' Dekes, Friday night, March 11, 2016. Participants were provided the three-dimensional bird, paints and brushes. Your dues help to sustain this popular program that is offered free to students. “Many of the kids have been participating for years. They come prepared with reference photos in hand and on their phones. They really focus on the details and are very serious about their efforts,” said organizer Mark Langenderfer. This year, Rachel Krieger, from Brunswick, OH, won first place. The birds were displayed on a table in front of the Junior Duck Stamp entries in the ballroom throughout the weekend and generated a lot of interest. And we also welcome sponsorship of this worthwhile program. Help us to continue this Youth Mentoring program. Four Bowling Green High School art students won awards at the state and national levels for their wildlife carving and painting entries. Senior Tony Reisberg, won 2nd place, and sophomore Dana Kleman, won 3rd place in their age groups in the Youth Silhouette Division at the 46th Annual Ward World Competition held in Ocean City Maryland, April 22 – 26, 2016. 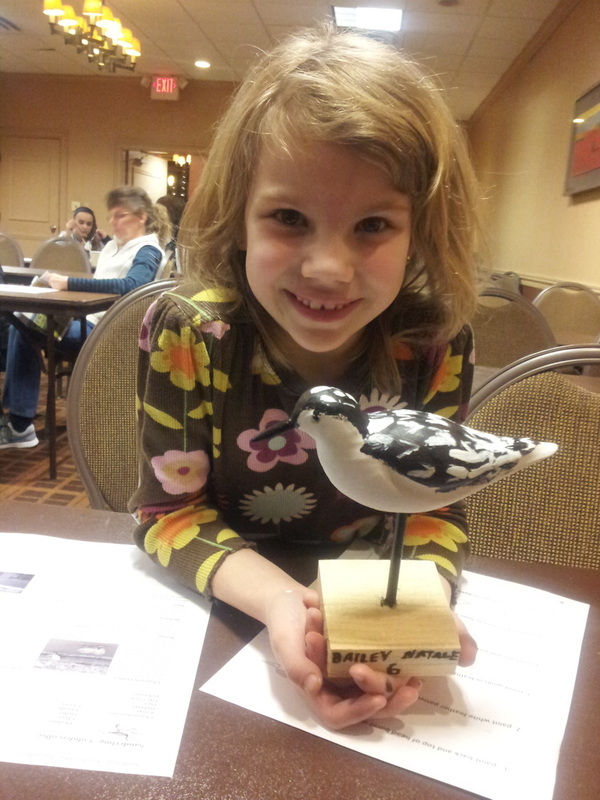 Their entries were a wood carved and painted Laughing Gull mounted shorebird-style on a base. Over 300 entries were submitted in the silhouette category and judged according to competition rules at the show. At the state level, sophomore, Lucie Moore, won 3rd place for her drawing of an American Widgeon in the Ohio Junior Duck Stamp Competition, hosted in Strongsville, Ohio, by the Ohio Decoy Collectors and Carvers Association, a non-profit, volunteer organization. The contest is organized by the U.S. Fish and Wildlife Service as part of the national Junior Duck Stamp Program. The Duck Stamp competition is a dynamic art and science-based curriculum that teaches wetland and waterfowl conservation to students in kindergarten through high school. The First Place entry at the state level is then eligible to compete at the National Level. Artwork of the winning entry is produced on a pictorial stamp by the U.S. Fish and Wildlife Service as part of the Junior Duck Stamp Program educational curriculum. 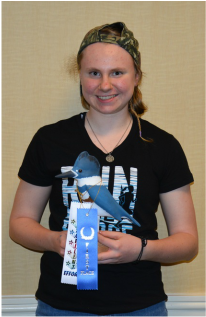 Ms. Kleman, also won 1st Place for her carved and painted Mini Blue-Winged Teal, and 2015 graduate, Tim Kleman, won 3rd Place Best of Show for his Golden Plover entry in the ODCCA Novice, Rest of the Marsh competition. “I have been really fortunate to work with the members of the Maumee Bay Carvers. Since 2013, Bob Lund, Steve Secord and Garrett Secord have donated their time, expertise, and materials to the students of Bowling Green High School. Students have worked outside of school and during enrichments to try their hand at wildlife art. It has been great to see my students embrace the art of carving decoys. Some students really take to working with wood and you can see their passion grow for it,” said Lloyd Triggs, Bowling Green High School art teacher. For information on the Ohio Federal Junior Duck Stamp Competition click here. There is no entry fee for children to enter the ODCCA show competitions. ​Click here to see the 2017 Competition Rules and Schedule.